It starts with a nice nose, the sweetness surprised and let me spontaneously think of rum, sherry is the dominant note, but still leaves room for further. In the mouth, the sweetness goes back a bit, I no longer think of PX Sherry, as during the smell, but rather Oloroso. The finish is a nice mix of the impressions of the mouth and nose. 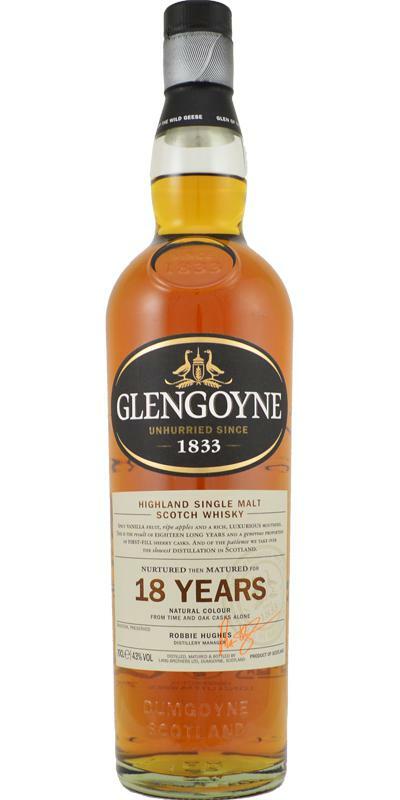 A solid, good sherry whisky without surprises or mistakes. The impression is very different from that of two years ago, at that time I gave 83 points in a blind tasting, now I award 87 points. Sweet honey and slightly dry woody tones mix only cautiously, the alcohol is relatively strong in part. Oranges and dark caramel follow, the sweetness becomes more intense and fruity. Apricot, annans and a touch of green apple mix to a fruity sweet melange, the overall impression of the nose is creamy and gentle. Cocoa powder and a pinch of cinnamon let in a slightly spicy note, with a fresh peppermint note in the background. 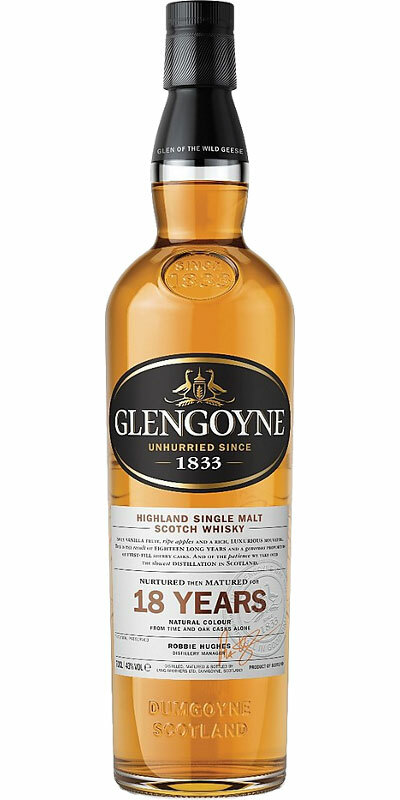 Creamy and gentle, the Glengoyne flows through the mouth, after a few seconds, black pepper lays around the tongue and dresses the palate with a pleasant sharpness. A light chili-catch emits a light burning sharpness, spicy and slightly tart wood elements rise from the fading sharpness. A touch of furniture polish or glaze is created, at the moment dominate tart and extremely wooden aromas. Bitter and bitter, the aftertaste begins. Dark walnut flavors and dry wood exude a plump warmth, the sharpness flares up again and produces a small "afterburner". On the whole, the aftertaste is dominated by tart and discreetly bitter wood tones, here and there are dried fruit elements. A touch of mint gives the finish a fresh note, such as a chewing gum chewing for hours. The nose is extremely fruity and complex. Intense mint leaves the otherwise fruity nose pleasantly fresh. The taste of this sample is dominated by dry and tart wood tones, the aftertaste is also wooden and eternally long. And again, the nose was the dominating element in this malt for me. In this sample, I have filled much better, despite missing in the taste of fruit elements. I found this malt complex and interesting. The light basic sharpness harmonized well with the other components. Wooden sour and spicy, the first sip flows over the tongue. Dry wood elements and a note of sharpness give the first impression a certain complexity and strength. The second sip is then much harsher and more bitter, I somehow combine this kind of aromas with furniture polish and glaze. Again, a little sharpness arises and also in this sample lacks the strength and power from the nose in the taste. Spicy wood and a touch of espresso, again harsh hints and more of woody flavors. Herb with a certain basic acuity starts the reverberation. Tortured pieces of wood rest on the tongue, a pinch of black pepper separates from the wood. Slightly oily and creamy, the malt exudes its tart and subtly pungent aroma. These intensive tones rest for a long time on the palate and exude a cozy warmth. Slowly, really only very slowly, the malt sounds and leaves a harsh and fine sharp aroma in the mouth. A nice nose, the taste drops a bit, but still pleases, the finish fits into the overall picture. C: Sherry-light again, we’ve a decently balanced malt. Best of the three but it drops 2 points since 2017. Currently the Arran 18yo [blog] beats this hands down. 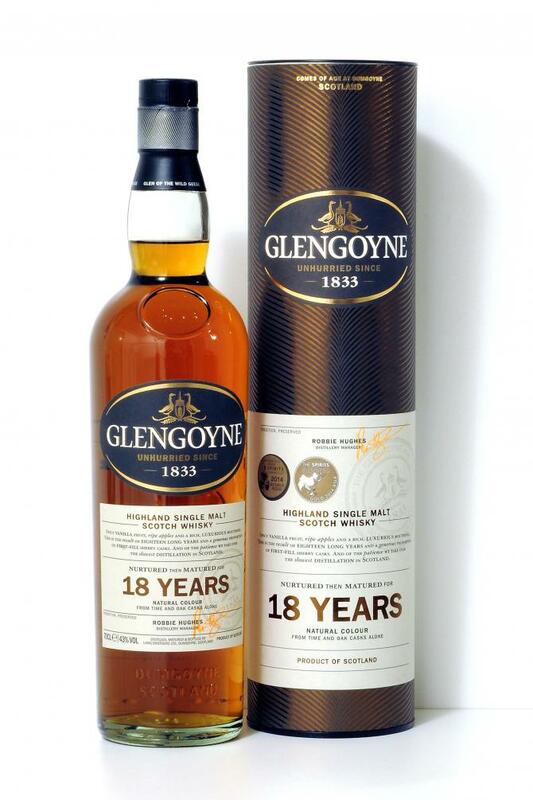 A great, noble and mature Highland Malt - very pleasant!